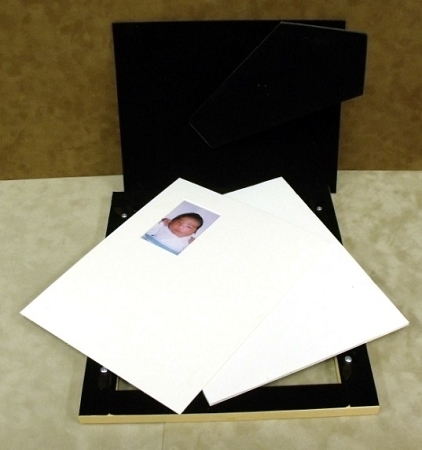 Newborn signature photo frame includes a white signature or greeting mat to write on and a 2x3 photo opening to fit any standard wallet or newborn hospital photo. 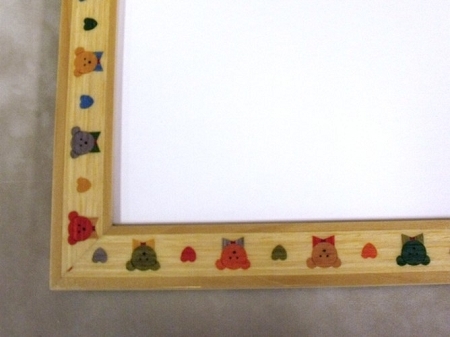 The wood moulding frame had inlay teddy bears red,green,grey and tan. 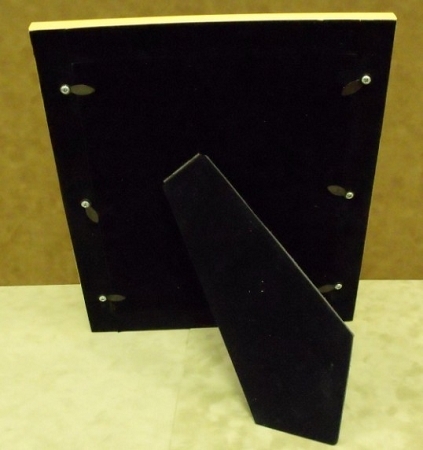 Photo unit includes archival mounting board, glass front, easel and gift box. 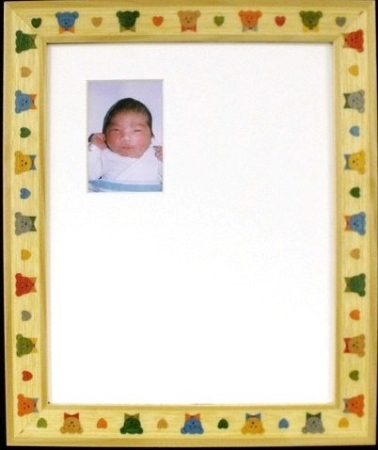 White color Signature Mat is great for hospital greetings, welcoming baby or can be used for a child's party to have friends write a message. Great for Baptisms! Overall size is 8x10.